France’s first post-war cycling hero, the elder and more successful of the two Bobet brothers was also the first rider to win the Tour de France three times in succession. 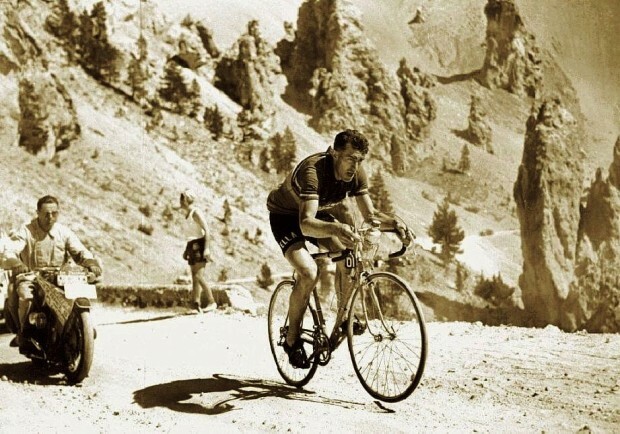 His memory will be eternally wedded to the ‘Casse Desert’ section of the Col d’Izoard climb; a cruel, empty area of white rock and scree on the Southern approach, which he conquered twice to take the Maillot Jaune on route to overall victory. This entry was posted in Birthdays and tagged birthday, Cycling, Happy, Tour de France. Bookmark the permalink.